Cheap flights to Iceland: Reykjavik from London for €75! UPDATE 30.1.: Easyjet again offers 20% off for all flights so you can still book cheap flights from London to Reykjavik in May for only 59 GBP! See the dates below. Easyjet now offers 20% discount for their flights for 2 more days and you can use this promotion to get great tickets to Iceland. 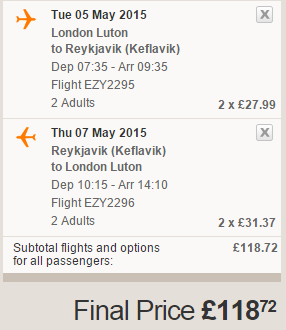 Return ticket from London (Luton) to Reykjavik is available for only €75 / 59 GBP! 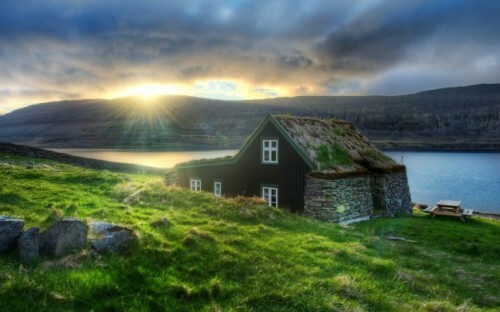 Travel dates are cheapest in May which is already great month to enjoy Iceland without cold and snow. There’s tons of other dates for higher price available too. « Cheap flights to USA: New York from Denmark for €340!